Most finite element, or finite volume software is built around a fixed mesh data structure. Therefore, each software package can only be used efficiently for a relatively narrow class of applications. For example, implementations supporting unstructured meshes allow the approximation of complex geometries but are in general much slower and require more memory than implementations using structured meshes. 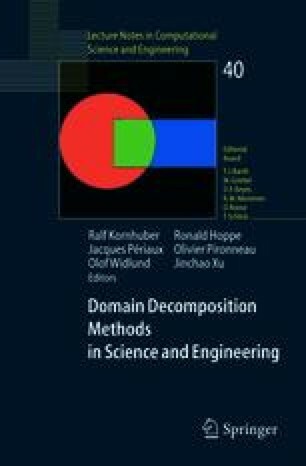 In this paper we show how a generic mesh interface can be defined such that one algorithm, e. g. a discretization scheme, works on different mesh implementations. For a cell centered finite volume scheme we show that the same algorithm runs thirty times faster on a structured mesh implementation than on an unstructured mesh and is only four times slower than a non-generic version for a structured mesh. The generic mesh interface is realized within the Distributed Unified Numerics Environment DUNE.